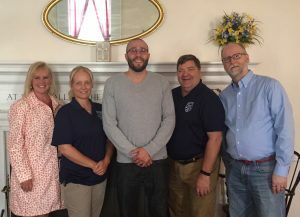 On Saturday, June 23, New North Church hosted a public presentation on opioid overdose prevention by Kurt Gerold of the Anchor Program, affiliated with the North Street Community Church of the Nazarene. Mr. Gerold’s presentation described opioids and their effect on the body, signs of overdose and how to react. He also explained how naloxone HCl (Narcan®) works and described how to administer it in the event of an overdose.